Auckland just gets better and better. The other day a friend of mine was over from the States. He hadn’t been back in Auckland for a while and was very impressed. “So much has changed in five years,” he gushed. “So many cool new developments,” he added. “So many more people on the streets and everyone looks so healthy, young and happy,” he enthused. “So many great new restaurants and bars. So many infrastructural improvements,” he yelled. “How cool is that tunnel?” he screamed. My mate was so impressed he’s moving back home. Not everyone agrees with this positive assessment. In a recent article entitled New Zealand attractions that don’t live up to the hype, Lorna Thornber ripped into us. 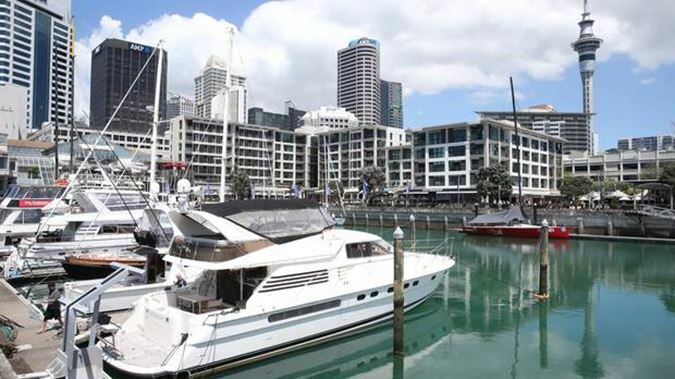 Writing “I often pity the poor cruise passengers disgorged in the soulless steel and concrete jungle that is downtown Auckland”. She went on to describe Queen St as a “chain store-lined wind tunnel” before bemoaning “the Viaduct with its average restaurants with above-average prices”. After that she attacked our poor defenceless Britomart claiming “there is nothing here, save a few pricey designer boutiques”. I don’t know how good a downtown has to be to impress cruise ship passengers. I’ve been on a few and met some low-level operators aboard. On a cruise out of Australia, I saw a dangerously drunk shirtless guy leap over a railing for a joke and fall two storeys into a water feature by the pool. Sent his tibia up through his knee. Is this who we should be worried we aren’t impressing? But let’s just say cruise ship passengers are sophisticated types who need particularly flash docking areas. Well, Princes Wharf isn’t bad. You get a great view of the city coming in, then disembark right in the heart of the city by the Hilton. It’s not perfect round there but it’s improving all the time. People are working really hard on downtown. Planning and fighting to make it a better place. They deserve praise. Britomart for example. “Nothing here, save a few pricey designer boutiques.” That’s not what I see. I see beautifully lit alleyways, water features and paving. Again good people have put a lot of time and thought into the area and I appreciate it. As for the Viaduct and its “average restaurants”? 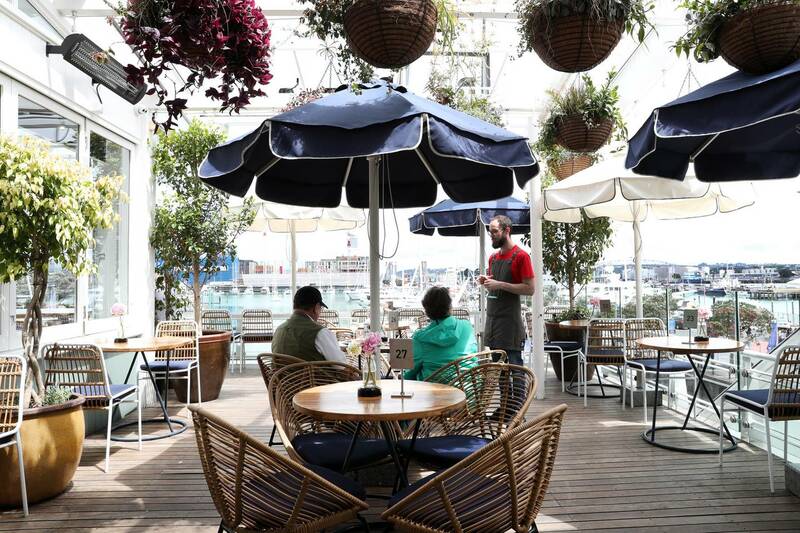 Try Dr Rudi’s Rooftop Brewing Co. I’ve spent many a happy day on their sunny balcony looking out at the boats. Great food, great drink, amazing views. Dr Rudi’s is surely good enough for these all-important cruise ship glitterati. If not there’s the beautiful Saint Alice right next door, with the Bang Bang China Cafe inside and downstairs The Holey Moley Golf Club. I love that place. Fantastic design all round. If our special, important cruising guests head further west there’s a lovely walk over the drawbridge to Wynyard Quarter and Silo Park. That’s a very cool development with lots of dining options and more being built right now. They could even wander round further towards Westhaven and stop at Swashbucklers for hours of rustic Kiwi good times on the water’s edge. If they go 150m left from their ship they’ll find our historic, cake-like ferry building. So easy to jump on a Fullers and sail over to the spectacular Waiheke island. Maybe a wine tour, a bit of a swim or lunch at The Oyster Inn or Casita Miro. Another good look at Rangitoto on the way over would be memorable enough for most. Even if they do head up the “chain store-lined wind tunnel”, that’s pretty damn good too. I’m not sure which specific countries Queen St is being compared to. I mean it looks like a city. It’s got buildings, workplaces, lots of people, shops and stuff. But it’s a very clean and well-presented city. I’ve been impressed with the work there in recent years, the extended tiled pavements and alleys. If cruise passengers are unlucky enough to arrive on a rare windy Auckland day they could duck straight into the zero-chain-store Queen’s Arcade. I love that dinky little zone. Walk further down “the wind tunnel”, turn left and go for a little walk up Vulcan Lane, look around and you have the Chancery. Further along Queen turn right, head up the hill and you’ll find Federal St. Plenty of classy fun, food and drink there. I’m a big fan of the rooftop Glass Goose right under the tower. Take sunscreen. There really is no need to “pity the poor cruise passengers” who disembark in the middle of our town. They love it. I’d back disembarking here against most places in the world. So stop slagging off our beloved Auckland, it’s great already and there are a bunch of passionate people working tirelessly to make it even better.